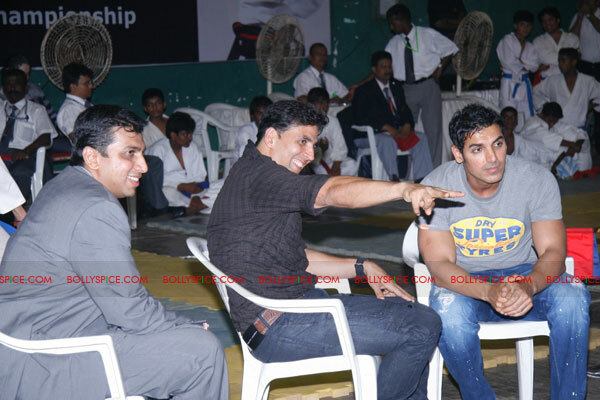 International Khiladi aka Akshay Kumar who is known for performing breathtaking action scenes in his film has once again successfully hosted, the much awaited event for Karate enthusiasts Akshay Kumar International Invitational Karate-do Championship 2011, which was held at Andheri Sports Complex in Mumbai between 19th- 22nd October .As compared to the last two years, it was much bigger and even better! 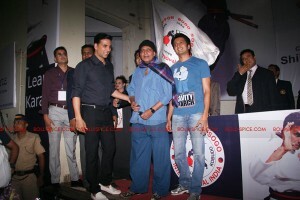 The sporty side of Akshay Kumar is never too far away from the surface! We all know how passionate this Desi Superman is about sports and fitness. Akshay Kumar himself funded the event on his own this time, shelling out approximately Rs 2 crore, significantly more than what he’s previously invested in the event! The idea of this championship is to encourage the fighting arts and sports among Indian youth. Akshay has always been passionate about Karate and is especially considerate about the fact that there is so much talent in the country that needs to be nurtured. He was particularly moved by the plight of some really talented athletes who could reach the highest level if given an opportunity but haven’t been able to do so because of lack of funds. With this championship, he wishes to create a platform where young and budding talent from all over India would get together and get into a world class fighting event. This event will also promote Karate and Martial Arts to the remotest corners of the country. As testament to the academy’s prowess, last year’s winners from the Akshay Kumar Karate Championship recently won one gold and three bronze medals in Malaysia at the 12th World Karate Championship.